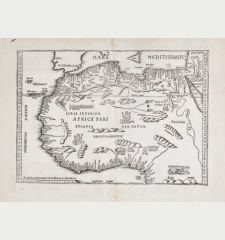 Very rare sea chart of West Africa by John Seller. 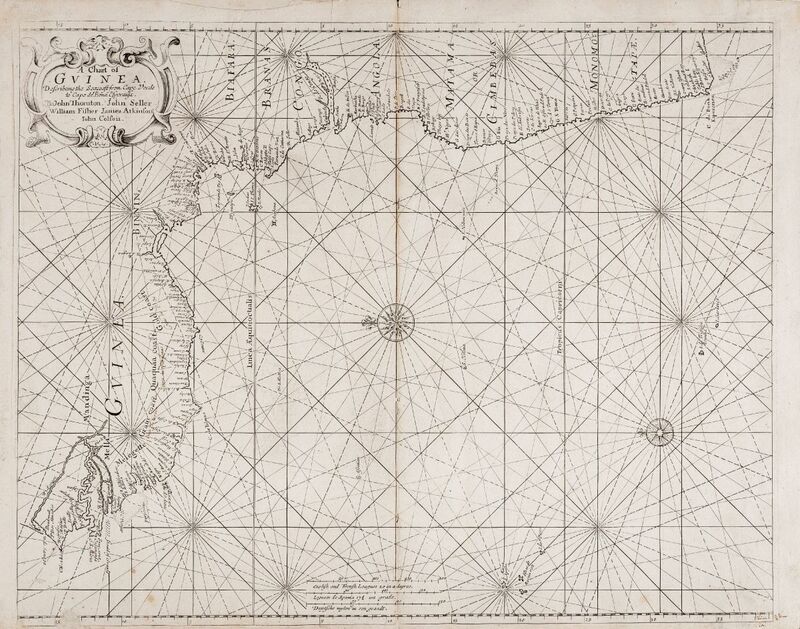 This beautiful sea chart shows the coast of Africa from Senegal, Cape Verde, along the West African coast to the Gulf of Guinea, across the coasts of Angola and Namibia to the Cape of Good Hope. 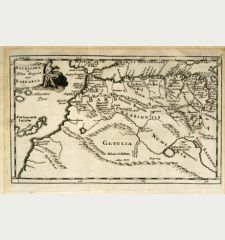 East is shown on top. 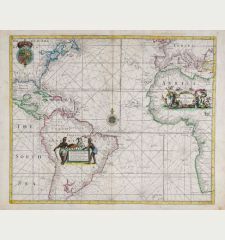 Top left a title cartouche, in the seas two compass roses surrounded by loxodromes. 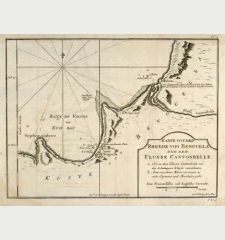 This is the first version of the map during the cooperation of Seller, Thornton, Fisher, Colson and Atkinson in the years 1677-79. 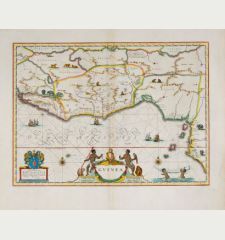 There exists another map, most probably a copy of this map, with many changes and a new cartouche with the title A Chart of the Coast of Guinea. 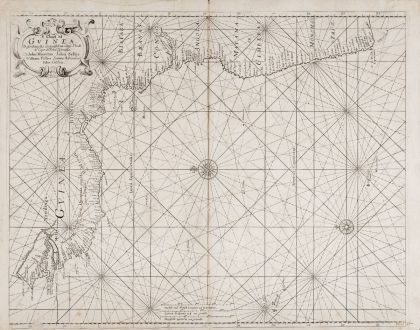 On double paper as often if a map comes from a maritime atlases. Centrefold backed with Japanese paper, the lower left margin slightly rubbed off. A uncut copy. Very good condition. 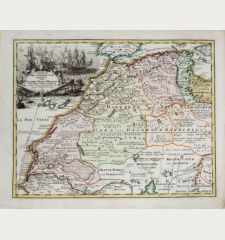 John Seller: A Chart of Guinea. 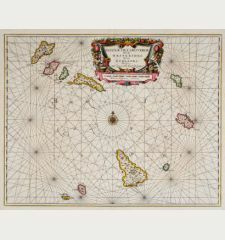 Describing the Sea Coast from Cape de Verde to Cape de Bona Espransa.